Order pooling is now a well-established technique used to cut costs for prototypes and small batch PCBs. But what is it and what is its history? Standardised panels make production much more efficient. 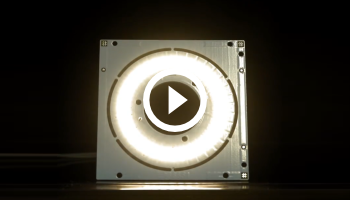 Together these can cut production costs by as much as 90%. Order pooling is not the same as “panel filling” where a customer buys a whole panel of the same PCBs, and gets as many circuits as will fit on the panel. This offers good material utilisation, but only if you need that many circuits; if you only need 1 or 2 small boards it can work out quite expensive. In practice it reflects how conventional fabricators will actually produce the PCBs on standard panels. At Eurocircuits we use it only for the occasional unusual combination of production parameters for which we don’t get enough orders to pool. Of course, to make pooling work successfully the fabricator needs enough orders with the same technology to achieve a good “fill” on the standard panels. Too few orders mean that material utilisation will be reduced, driving up costs. Or not all board types can be pooled every day, extending deliveries. Cutting corners by combining boards with different technologies on the same panel (for example, by combining 2- and 4-layer boards) risks serious reductions in quality. 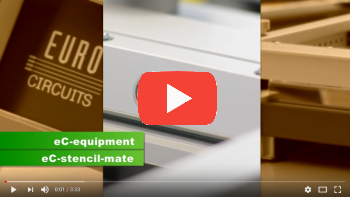 At Eurocircuits we handle more than 70,000 orders a year This allows us to offer the widest range of pooling options without impacting price, delivery or quality. Today, order pooling for prototype and small batch PCBs is usually combined with online price calculation and ordering. This exploits an added advantage of order pooling: ease of costing. As the fabricator knows the set-up and production costs of the standard panels for each technology, pricing depends broadly on the area of panel each circuit uses. There is no need to count holes or drill changes or measure the length of the profile. Or to charge separately for tooling, or to impose a minimum charge. All this makes online pricing and ordering much faster and more convenient for the customers, who no longer have to wait hours or days for a sales office to “get back” to them. It also cuts the price of their boards: online pricing and ordering needs fewer administration staff. If you use a sales office they will usually (or at least they should) check your data. Eurocircuits have developed solutions for both of these issues. We handle a large number of orders each day so we can pool a wide range of different options. This has allowed us to develop sophisticated “smart” menus which allow customers to price and order complex boards swiftly and securely online. We offer onscreen visual checking tools to ensure that your boards meet the technology requirements of each class. Where possible, the online tools propose minor changes that will fit your design into a lower-priced class. This film explains briefly the principle of order pooling, how Eurocircuits applies it and what it can do for you. The History of Order Pooling. The pooling concept no doubt dates back to the dawn of human history when the first cave-man popped into the next-door caves to say that he was trekking to the nearest outcrop and did anyone want any flint nodules to make their tools. Pooling became the basis of wholesaling and all forms of grouped transport. Today it is used every day by consumers, for example for buying plane tickets or hotel rooms through third-party websites, or in collective buying schemes. The more people who make their purchases through the same online channel, the better price the channel will get and the less the purchasers will pay. A number of companies in Europe tried order pooling in the 70s, but the process was difficult to implement in the days of hand-taped artworks, paper-tape driven drills and fixture-based testers. Preparing tooling for a panel of different PCBs, even for a customer who insisted that he would always re-order the same boards in the same quantities, was expensive and inflexible. If demand changed or boards were scrapped during fabrication or assembly and had to be replaced, either expensive new tooling had to be made or a lot of surplus PCBs produced. The situation changed during the 1980s as CAD systems and laser-photoplotters cut the cost and ease of tooling. Indeed, it was the laser photoplotting bureaus that first used the pooling concept. Plotters were very expensive and by today’s standards quite slow. 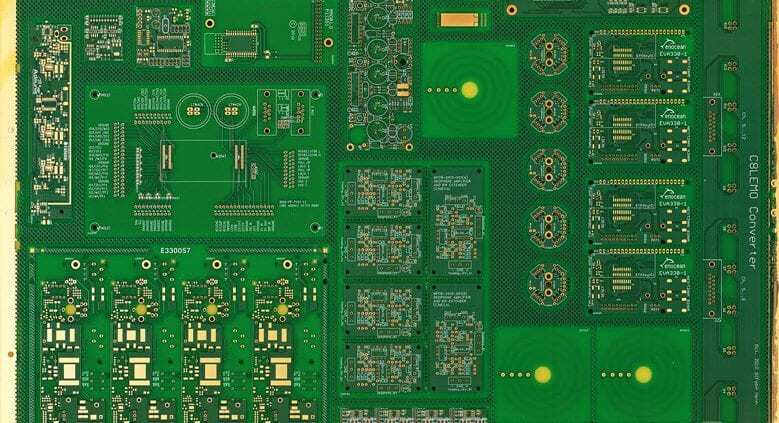 At first, most PCB manufacturers could not afford to invest in the new technology and so used plotting bureaus. Olivier Cadic, former owner of Info-Elec in Paris, once one of the largest bureaus in Europe and founder of www.pcb007.com, explains how he used pooling to bring down the costs of the finished films. “In the mid ‘80s at Info-Elec we introduced pooling for laser photo plotting. Customers could upload their Gerber files via modem onto a PC where they landed in a queue. Software developed by Info-Elec and the plotter manufacturer DISC then organized the queue in such a way that the film formats were efficiently filled with customer data. This optimised the use of expensive film and machine time, resulting in lower plotting costs per dm² and better prices to our customers”. PCB manufacturers were also quick to exploit the new opportunities. Thus Ton Klaver of Bellmann in Holland actively promoted the idea of PCB pooling to his customers. These trends accelerated in the ‘90s. PC-based CAD systems finally replaced hand-taped artworks; laser-photoplotters became faster and cheaper; CAM systems became more capable; production and test equipment could be driven digitally. The cost of tooling was slashed, so it now became feasible to make a set of tooling for a pooled panel, and then throw it away. At the same time during the ‘90s and the early years of the new millennium the dynamics of the European and American PCB industry were changing. Volume manufacture began to move to low-cost areas in the Far East, especially China, putting pressure on prices. Cyclical demand for PCBs aggravated price pressure. As prices fell, profits fell too, exactly at the time that designs were getting more complex and investment was needed in new manufacturing and test technology. The result was a dramatic decline in the number of board shops in the West. Some became little more than brokers for Chinese suppliers. For others survival meant specialization. 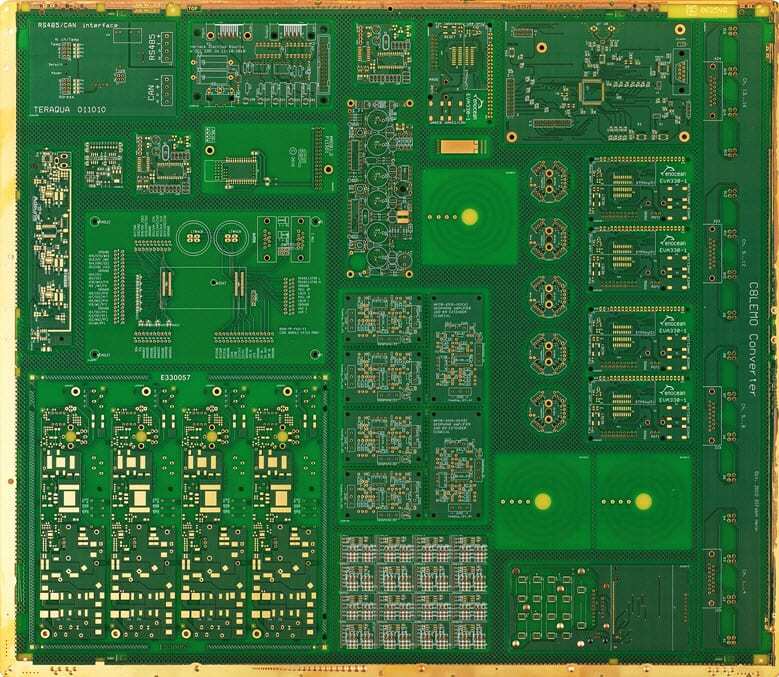 The Chinese plants were not interested in small batch PCBs and not fast enough for prototypes, while their quality was regarded as suspect for high-technology boards, especially for sensitive applications like avionics and defense. Many board manufacturers moved into these high-technology niche markets. Others specialised in prototypes and small batch PCBs supplied on a fast lead-time. Order pooling was a natural technology to adopt to meet price pressure, and pooling companies appeared in USA and Europe. Eurocircuits was set up as the online order-pooling arm of the Europrint PCB fabrication group in 2000. By 2011 it generated over 90% of the group turnover, and we re-structured the whole organisation under the name by which most of our customers knew us, Eurocircuits. The internet boom of the late 1990s (despite the “bust” in 2000) got more people used to the idea of buying online. 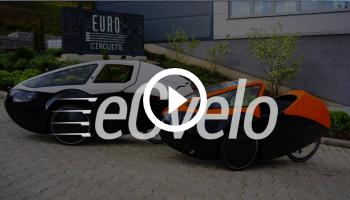 The second pillar of the modern order-pooling company was in place, and companies like Eurocircuits began to grow. The growth of online buying led the development of a new delivery infrastructure to match. The new pooling companies were able to expand their operations across wider geographical areas. Thus today Eurocircuits delivers all across Europe as well as globally, including the Americas, the Middle East, Australia and New Zealand. Today’s electronics designers, in whatever country they live, have a good choice of quality suppliers of standard and high-technology prototype and small batch PCBs. They can source PCBs for their new designs quickly and efficiently from their desks, as well as getting committed service and technical support from their vendor, where possible from fluent speakers of their own languages (at Eurocircuits we offer online chat support in at least 6 languages). Just as our ancient caveman used his knowledge of flint to find the best nodules for his neighbours, so we want to share our fabrication knowledge with the wider European design community and to learn from them what they need for their leading-edge designs. We are committed to maintain and expand our low-cost order pooling services and to develop new support tools to help PCB designers bring their projects to market on time and on budget. In this way we will make a positive contribution to the success of the electronics industry in the Western world. https://www.eurocircuits.com/wp-content/uploads/blog/The-history-of-order-pooling/production-panel-gold.jpg 677 779 Dirk Stans http://www.eurocircuits.com/wp-content/uploads/2016/07/eurocircuits.png Dirk Stans2014-08-26 06:14:002018-07-10 19:07:10The History of Order Pooling?